This recipe’s a favorite year ’round. So easy and so good! Of course, you don’t have to put just punch, or dessert, in a punch bowl. 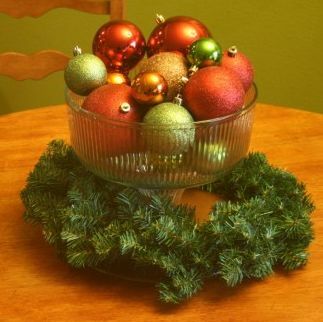 A festive punch bowl decoration is a natural. And finally… you could always donate, sell, or reconsign your punch bowl to your favorite shop after the holidays.